Through the rounds, Zane was looking strong, all the way through to the final, where solid sets hit, creating chaos and a split field for the final 8. Revelling in the conditions, Zane battled his way to the finish line with eventual sprint winner and teammate Dylan Frick (Starboard), taking 2nd place for his effort, enough to secure him the overall win here at Stop #3 of the European Cup in Italy. This result was enough to propel him to 2nd place overall in the European Cup, after his 6th place in Barcelona, 3rd place in Finland and now the win here in Italy. While he wasn’t able to defend his 2014 Title, Zane put on an inspirational performance this weekend and to finish his European Cup campaign with a win is the next best thing. 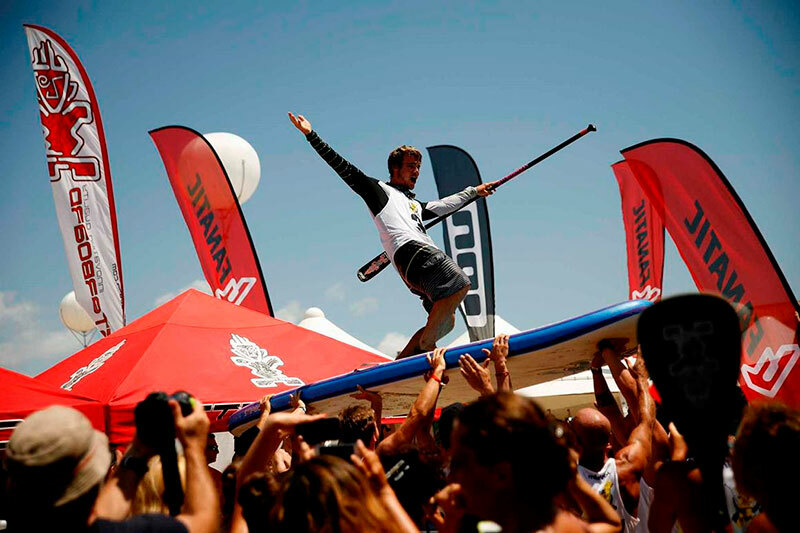 Casper Steinfath (Naish) has looked more focused and more determined than ever over this year’s European Cup campaign, each event, building on the last, and looking stronger and faster than ever. After such a dominant performance in Finland, he was able to back it up with another impressive win in the long distance yesterday here in Rome and was looking poised for an strong finish in the sprints as we worked our way through the rounds. However during a flurry of sets in the final, Casper got caught behind on the first leg, and then went down again on the second, as he came around the inside buoy, he was able to regain his composure and get himself back into the picture over the last 2 legs of the dynamic ‘M’ course to finish in 5th. While 5th wouldn’t have been his chosen finish, with the caliber of competitors lined in the final, it was going to be a battle whatever happened. However, 5th was enough to secure him a well deserved 2nd place, which in turn was enough to secure the European Cup Title for 2015. Another incredible achievement from the young Viking who seems to only go from strength to strength as his career develops. 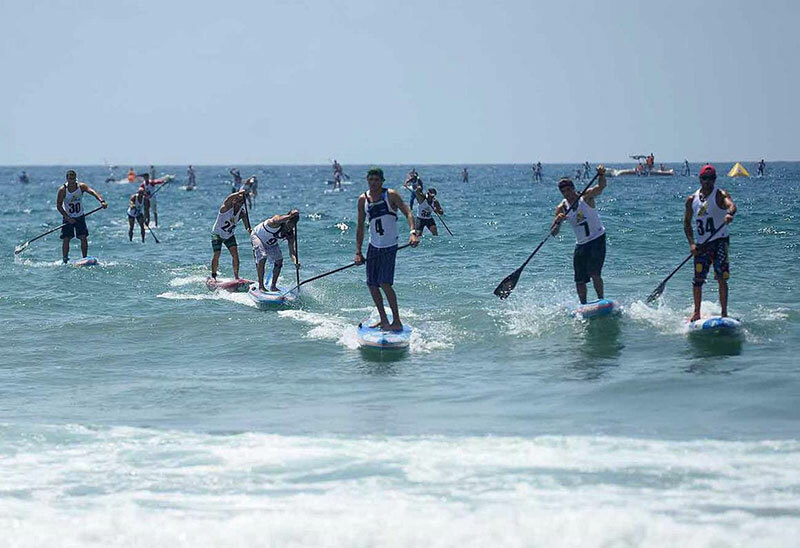 Dylan Frick (Starboard) had a slow start to this final stop on the European Cup in Italy, with a disappointing showing in the long distance on day 1. However, refreshed and fired up for today’s sprint racing, Dylan navigated a perfect final heat to get the win over one of the very best surf sprinters in the world, Zane Schweitzer (Starboard). 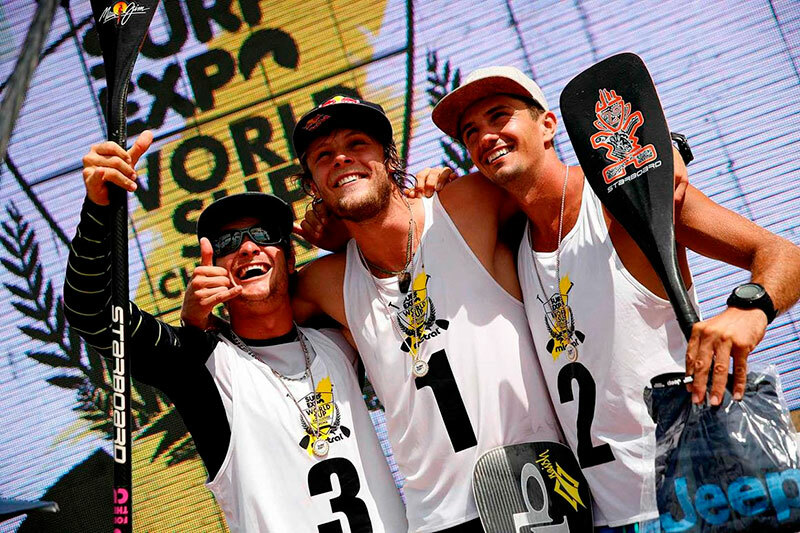 This win in the sprint racing propels Dylan into 4th overall for the event, but also secures him 4th overall for the 2015 European Cup – an impressive performance from the young South African talent as his forward momentum in the face of the World’s very best stand Up paddlers is undeniable. 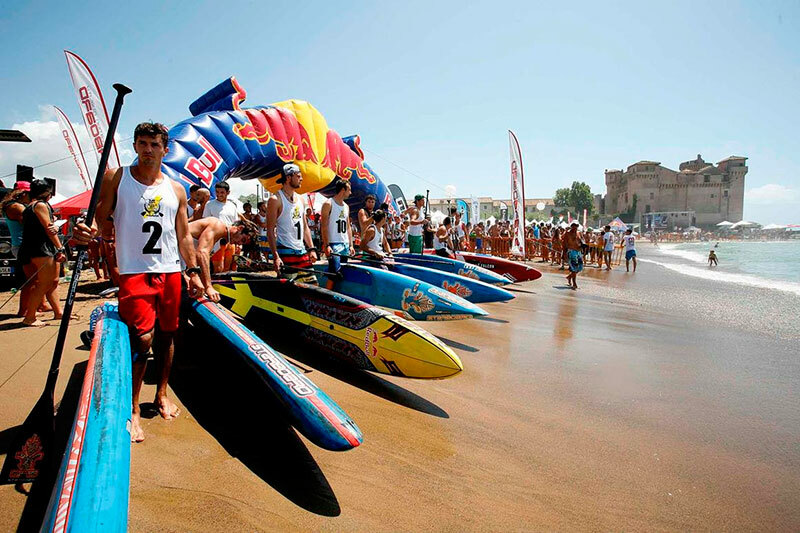 Coming into the final day of competition, Leonard Nika (Starboard) was well within reach of both the event and European Cup Title, and his start in the final heat of the day was a testament to not only his determination, but his capability of taking victory here in Italy. Leonard had a commanding lead coming into the inside buoy of the ‘M’ course, as he headed out for the final 2 legs and to what he hoped would be victory. However a stumble on the inside, followed by getting hit by another wave on the outside allowed Dylan Frick (Starboard) and Zane Schweitzer (Starboard) to sneak past, forcing Leonard to have to settle for 3rd in today’s racing. His 3rd place today combined with his 3rd place yesterday put him in 3rd overall for the event, but also the overall European Cup for 2015, with Zane Schweitzer just sneaking past him into 2nd. While the European Cup Title and a victory in front of his home crowd eluded Leonard Nika this year, there is no doubt that he is one of Europe’s and the World’s leading racers and will continue to be a real force to be reckoned with. Davide Ionico (Fanatic) is one of Italy’s rising stars: as a teenager, he is strong and fast and destined to make his presence felt on the global racing scene. With a 7th place finish in the long distance, Davide took on today’s sprint Final as if his life depended on it, battling his way around the dramatic course to secure an impressive 4th place finish, propelling him to 5th place overall. Watch out for this rising talent, as there is no doubt that led by their leader Leonard Nika (Starboard), there is a hotbed of young talent coming out of Italy as we are excited to watch them make their presence felt on the global stage over the coming year. The Italia Surf Expo Roma is such a unique event: it is a beach culture festival that brings together World Class racing, a Surf, skate and SUP expo, skate ramps and competition, offroad courses to showcase the unique capabilities of Jeep vehicles and a beach social program that is quite simply second to none. 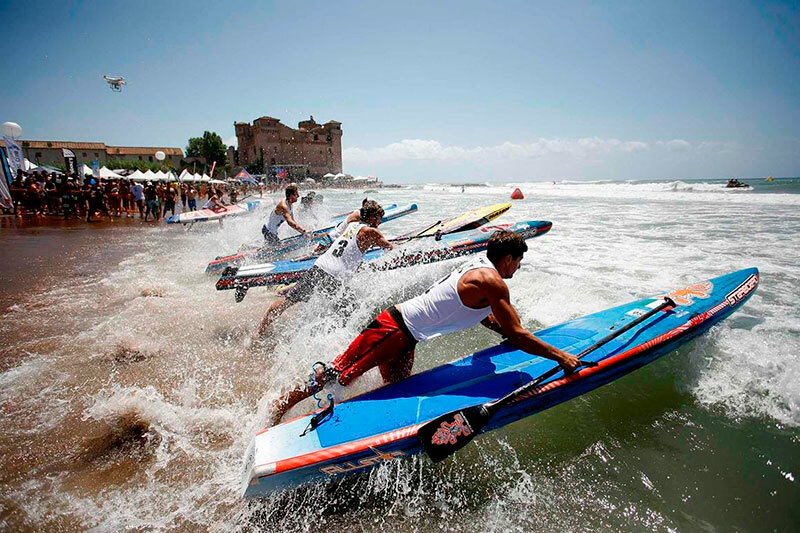 It is the perfect way to close the European Cup, and today’s conditions provided one of the most spectacular days of racing so far this year, with pumping surf and the dynamic ‘M’ sprint course providing an exciting and dynamic showcase of Surf sprint racing at its best. 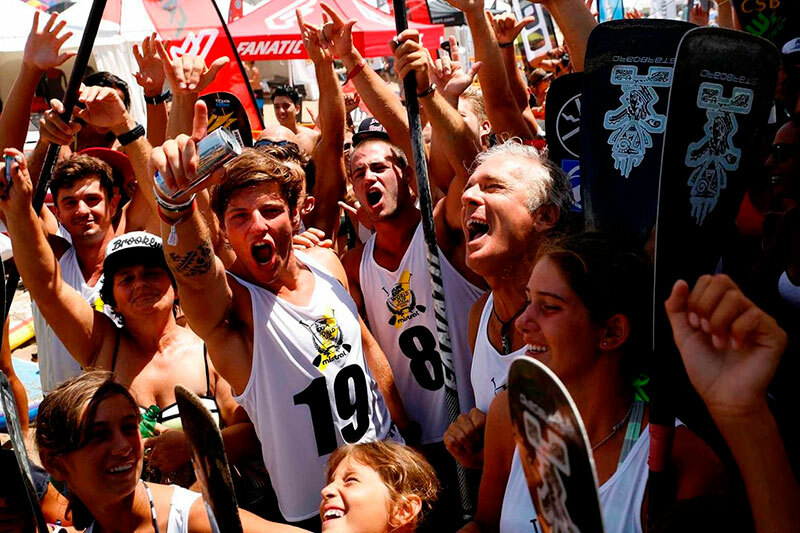 A big ‘Grazie’ goes out to all the Italia Surf Expo team who did a phenomenal job this weekend, as well as the sponsors of this incredible event. On behalf of the athletes and all of us here at the Waterman League, we can’t wait to come back.